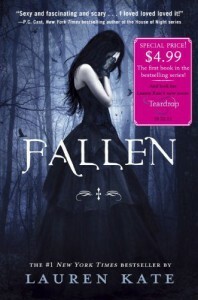 Ok… Fallen by Lauren Kate. When I decided to read this book I had no idea what was it about, I just wanted to read it because I found out a movie based on this book will come out, so I had to. I just had a little voice telling me that because of the name, this could be about fallen angels, and I’m glad I was right. Don’t know why, everything about angels, fallen angels, nephilims and all that captures my attention. I love how they love in this stories, so pure, so intense… I’m obsessed. Then Luce meets this weird girl called Arriane… At the beginning I didn’t trust her, I was pretty sure that she was going to get Luce into trouble. So when Luce met Penn I thought “good, take her away from Arianne”. But it turned out that both of them where pretty good friends. Then Cam… oh God! that one I didn’t like since the beginning… No guy is that good and perfect to a girl that he doesn’t know without bad intentions. Then… the strange attraction that Luce felt for Daniel… But I’m pretty sure we all knew that it wasn’t that strange, that it had something to do with the fact that Daniel is an angel… ok, maybe that sounds a little strange, but we love it. But I don’t know what wrong with us women! Why are we always attracted to the bad boy… not that Daniel was bad, but he tried to pretend to be bad, that he didn’t care about Luce, and still she preferred him over Cam… of course we know that at the end that was the right decision, but the bad guy… why? I don’t get it. What I didn’t expect, was miss Sophie knowing so much about the fallen angels, and then being in their team, and then betraying them and killing Penn. That, oh god, that broke my heart. She was a good friend, and a mortal, that had nothing to do with the war, and she died because she was a good friend to Luce and couldn’t abandon her when things started to get dangerous. What I din’t get was the ending, the fact that Cam and Daniel where talking in the cabin where Luce was hidden. I thought they were hiding her from Cam and all the bad ones, I don’t know… it confuses me. So definitely gonna finish this series, I have to know what happens! 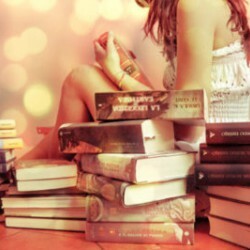 Now, the questions part… Have you read this book? The entire series? What are your opinions?